I’ve published at github a new library that makes easier to develop android weather app providing a framework to get actual, forecast weather and much more. 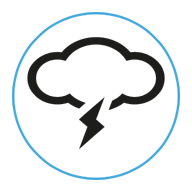 This is a library project that helps developers to create easily weather app without worrying about querying and extracting information from remote weather servers. It is very simple to use and you can easily extend it to support different weather provider or you can customize it according to your needs. I’ve implemented a demo app (under demo module) that shows how to use the lib. At github there is moreover a short introduction about the main concepts that stand at lib base and how you can use it. If you like it please help me to share this information. I’ve created a community where you can help me to improve the lib, discuss about it or give some tips or ask for new features. If you are interested please join it. Once it is imported the class files all end up under a java->com->survivingwithandroid-> folder instead of the source. I moved them to source under the correct package, then all of the imports are broken for the library. I spent an hour trying to figure out how this should have been imported, no idea. Maybe I'm the only one which seems to be the case with the other odd code bug, which makes no sense. Create a new Project called Lib and copy everything under lib module. When you create this project remember to mark it as Library.